"The longer you play, you progress. I ended up batting at the top of the order, so I couldn't have done too badly"
Malcolm [Marshall] was the quickest, day in day out. One of the greatest things you can get out of a career in cricket is friendship. Andy Roberts, I had the "privilege" of playing against, not in Test cricket but in a tour match for Tasmania. You can tell I'm being sarcastic there, can't you? Wayne Phillips was a very good cutter of the ball, and Beefy [Ian Botham] set this field, quite ridiculous, with the majority of fielders behind and just in front of point. And then he bowled short and outside off stump. Wayne hit the first few for four and then got out, caught, to the last ball of the over. Beefy walks off saying that 1 for 20 isn't bad. 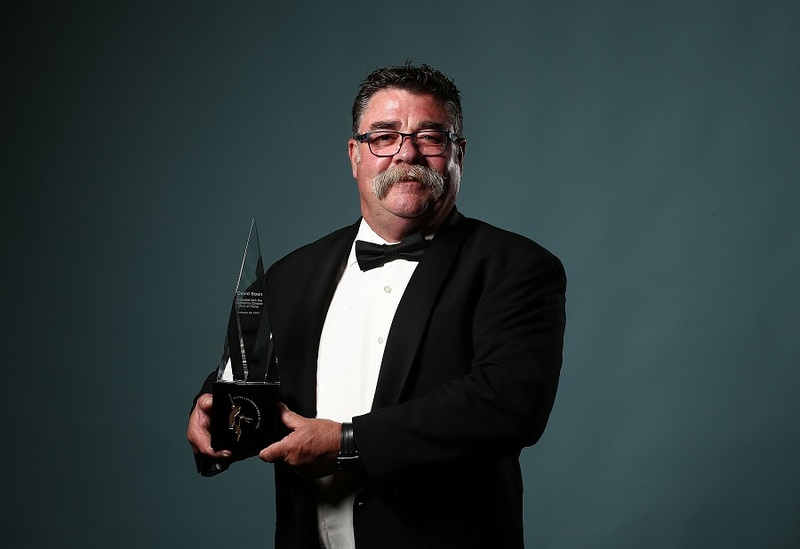 First it was Dennis Lillee in front of Bay 13 and then it was Merv. Sensational. The fast bowlers for West Indies through that period of dominance they had - any combination, I don't think it really mattered. They all worked together, were all slightly different and they intimidated because of their ability and the way that West Indies pulled together as a team. No matter what the injury status was, there were always four of them that would come at you. I had a great time fielding at short leg. When Allan Border lost the toss and England elected to bowl at Headingley in 1989, we could hear a few sniggers coming from the England dressing room. Apparently you never batted first and won at Leeds. But we made 600 and won by plenty. That started us steamrolling forward, culminating in 1995, when we finally beat West Indies in the Caribbean. Playing your first Test match against the best side in the world [West Indies] was quite daunting. But you also felt quite proud. Against those guys, you wanted to try and do your best. The longer you play, you progress, not sure even now how. But I ended up batting at the top of the order, so I couldn't have done too badly. I enjoyed the learning process. My opening partner Geoff Marsh used to say, we can't show them [fast bowlers] we've been hurt. It's a mental thing. When you're playing against the best, you have to stand up. And there are different ways of doing that. I went into cricket administration by the invitation of Dennis Rogers, then chairman of Cricket Tasmania. Jack Simmons was 24 hours too late in offering me a coaching role at Lancashire in 1998. I'd already promised Dennis. Jack's response was, "Bugger, but at least I've taught you something about loyalty." When we won the Ashes back in England [in 1989], that was the real one that started us moving on as a team. We all know what the Ashes means to everyone. Bob Simpson decided that if we had specialists in the slips, gully, extra cover, why should bat-pad be given to the new kid on the block? That person could take a catch which could change a game. Before each game [as match referee], I tell both captains where my line in the sand is, as far as aggression and invading space go. Whenever you play you just want to give it your best. It took a long time to sink in [when Australia beat West Indies in 1995]. 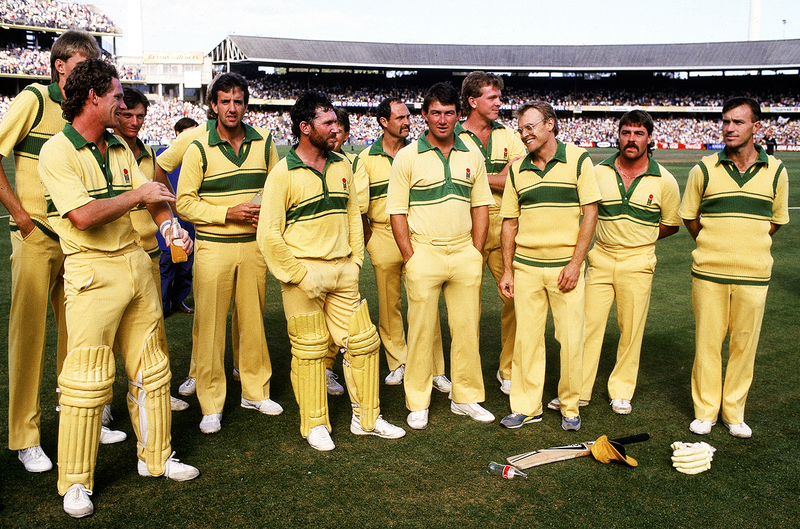 The great thing for me was that Allan Border was actually there. He wasn't playing [Border had retired the previous year], but he was there with a holiday tour group from Australia and he was able to come into the dressing room and enjoy something that he hadn't been able to achieve in his career. Don't know how I improved as a player over the years - it just happened. I've never seen a thylacine [Tasmanian tiger]. I know I'm getting old, but they died out well before me. There have been sightings over the years, but none of them have ever been confirmed. The only Tassie tigers I know of are the guys in the Tasmanian cricket team. Standout moment from my career? Beating England. I remember Patrick Patterson putting in a rapid spell at Melbourne when he'd been riled up by Allan Border. I played a ball from Patrick, jumping into the air, with not one inch of my body underneath stump height. Jeffrey Dujon said it was the funniest thing he'd ever seen in Test cricket. Individual performance is nice; team success is everything. I believe in leaving the game in a better state than when I joined it, as Sir Donald Bradman had said many years before. I was a part of a group of guys who did that. We went through a rebuilding phase for Australian cricket to being the best team in the world. The game grew professionally during my career, with the introduction of contracts and better pay. The process that Kerry Packer started with World Series Cricket. I started fielding at short leg because I was lazy. I didn't like running around the field, so at short leg, when it went past me, I could pretend I'd got hit so I didn't have to run after it. Border showed us how to be proud, willing, able and to give everything you've got for the baggy green cap. We have to project our game in a manner that when a kid has a choice to make, you've created a safe, enjoyable environment that his parents want their child to be involved in. I played for Durham when they were new to the county scene, and for Tasmania when they first joined the Sheffield Shield. I had learnt through 20-odd years with Tasmania how to develop players' belief, helping them feel like they belonged at that level, like the team belonged. Learning how to win matches and when to do that. Enjoying each other's success, the team's success, setting goals, working out how people think. 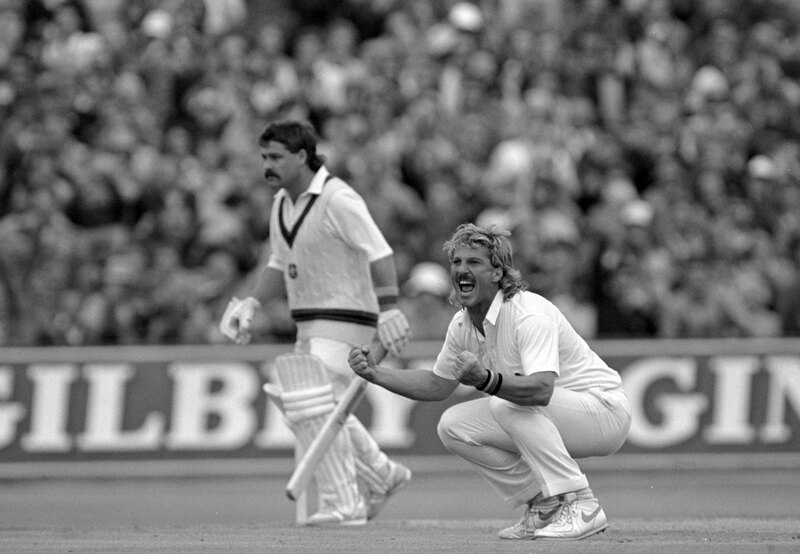 Ian Botham: great player, aggressive, never took a backward step, enormous pride in representing England. 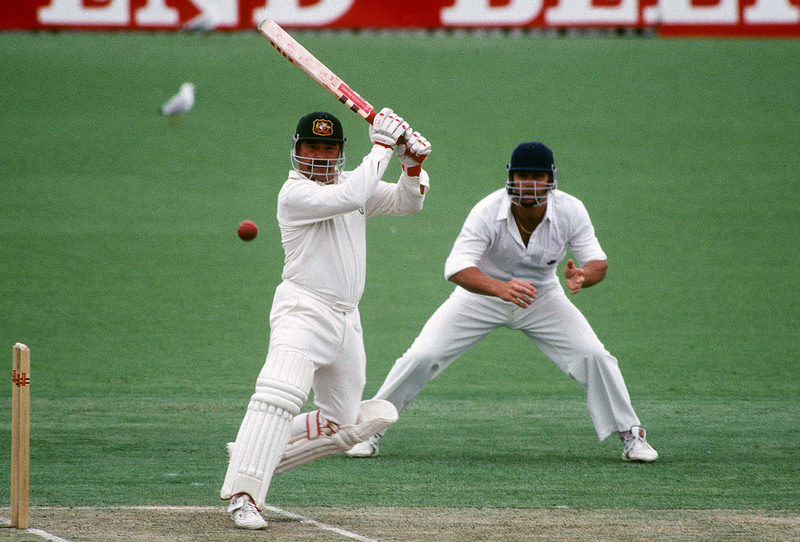 Teams that followed us, and their leaders, all had a little bit of Allan Border in them. Even though they had their own way of doing things, they still carried on some of AB's characteristics. Being a match referee, you need good man-management skills, communicate, to be able to form relationships and to get outcomes to situations that are better for the game and that present the game in the right fashion to the world. The game has changed, but then so has the world. 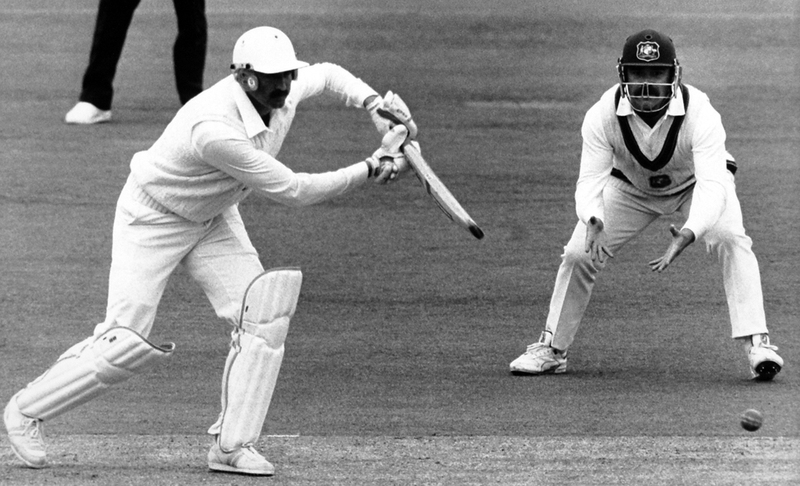 I was out there batting when Ian Botham bowled his last ever ball [for Durham against the touring Australians in 1993] He bowled the ball, said thank you very much and ran off the ground. Once you get up to about 150kph, it doesn't really make much difference. They were all pretty quick and they were bloody good. The best. I never said anything. I was the quiet one in the corner. At international level, we also have a responsibility. The game is going wonderfully well, it has spread throughout the world, but it is important that it is projected in the right manner. Some people might think that the characters have gone from the game. The characters can still be there, but probably not in such an extroverted way as they used to be. I had 14 years in administration with Tasmanian cricket before becoming an ICC match referee. Back in the day, in Australia during the summer there was cricket and during the winter there was football and rugby, depending on which state you came from. Then the world starts moving on and all of a sudden there's a massive increase in sports available for kids to play. There's also a change in lifestyle. Both parents working, one of those working six days a week - time is precious. Bobby Simpson's intent was to make us into the best fielding team in the world. He said that if we became that we would improve in all other areas as well. We could beat West Indies in Sydney but we couldn't beat them anywhere else. Even though we were struggling at the time, we could still win in Sydney. Work that one out. I couldn't. Botham and I had a couple of red wines after the [Durham] game finished. We've both grown up a bit since then, so if we went out for a few drinks today, it would be far more controlled than it possibly would have been years ago. The 1987 World Cup gave us the confidence that we could actually compete and do very well. 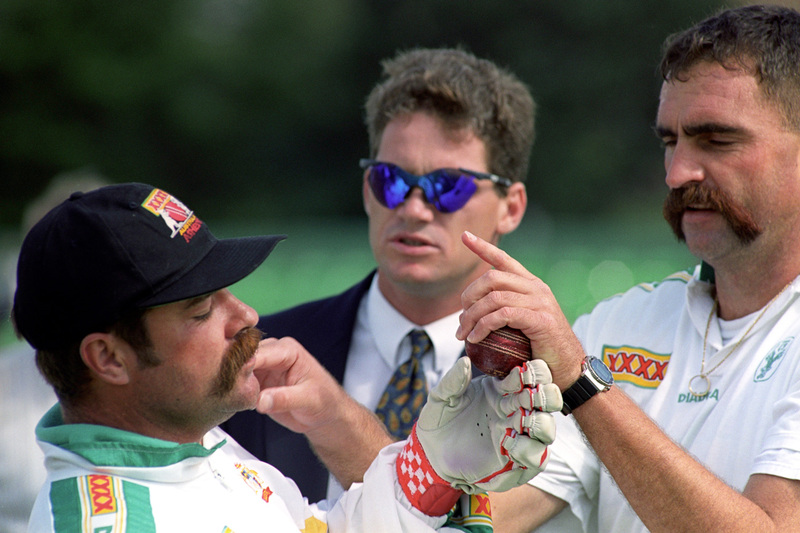 You wouldn't want to say anything to Merv Hughes if you were his match referee because most of the time [his antics] were so hilarious. At times he was probably taken the wrong way. He was aggressive and looked like he was going over the top. Some of it was psychological, but there was also a hell of a lot of humour. Merv these days would have to curb some of his edges. But he would still manage. Allan Border led from the front when we were useless. People say Tasmania punches above its weight. I don't agree with that one little bit. The attitude is there for everybody involved with Tasmanian cricket to be the best they can and to excel. Doesn't matter where you come from and what the population is. It's a matter of attitude and the way you move forward with that and make it work.